Linux cloud music player Nuvola Player 3 finally goes stable. Its official repository is ready for Ubuntu 15.10, Ubuntu 15.04, Ubuntu 14.04, and derivatives. 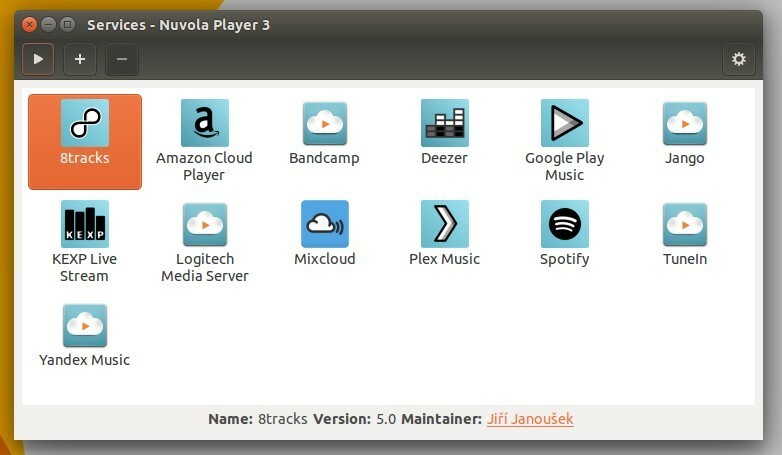 Nuvola Player 3 supports various services such as Google Play Music, 8tracks, Amazon Cloud Player, Bandcamp, Deezer, Jango, KEXP Live Stream, Logitech Media Server, Mixcloud, Plex Music, Spotify, TuneIn, Yandex Music. official repositories for Debian, Ubuntu, Fedora. GTK header bar, client-side-decorations in Gnome. and more at the release page. Open terminal from Unity Dash, Application Launcher, or via Ctrl+Alt+T shortcut key. When it opens, run below command one by one. 1. Add the official repository. Type in your password (no visual feedback so just type in mind) when it asks and hit enter. trusty — for Ubuntu 14.04 LTS, Linux Mint 17.x, Elementary OS Freya, etc. 2. Add GPG key to trust the repository packages. For those who hate Linux commands, try the graphics installer available at this page.